Absorbing Thermoplastic is bonded to the glove and will give flexible protection. 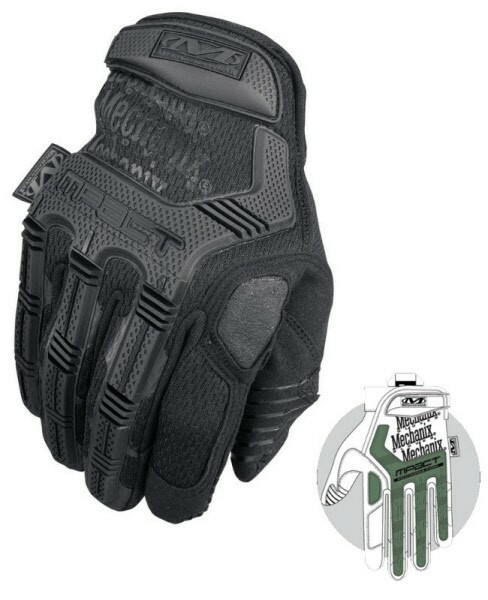 This specially designed mechanics Mpact glove will free up your finger for trigger pull. The double layer internal fingertip design gives strength to the thumb and index finger for durability and the embossed tip pattern gives a great feel with flexibility.Impact padding on the palm absorbs knocks and vibration. 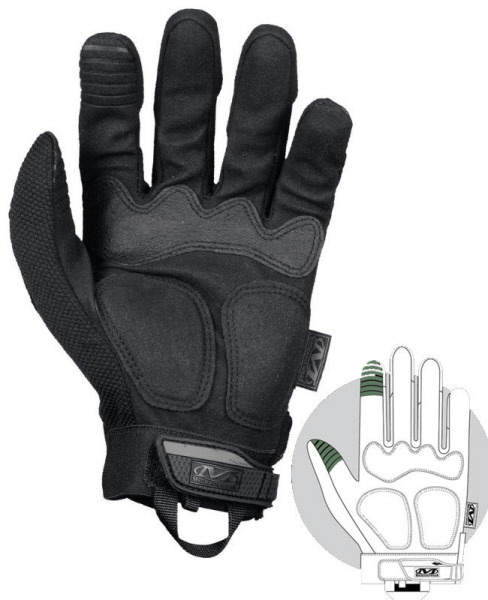 A M-PACT COVERT glove will absorbs shock and keep the hands from taking the shocks The M-PACT Glove is designed designed with an shaped injection molded panels which are placed over the knuckles and the back to prevent abrasion. Shaped cut EVA palm pads will add to this protection. The glove has a tapered finger side stretch panels with Spandex on the thumb to give you great performance. There is special grip material on the finger and thumb to give extra grip and the wrap around moulder writ section give added security.